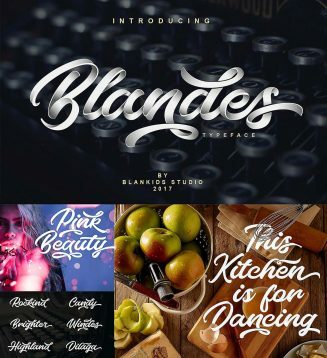 Blandes Typeface is inspired by the handwriting style with the brush pen. Perfect for posters, prints, logotypes etc. 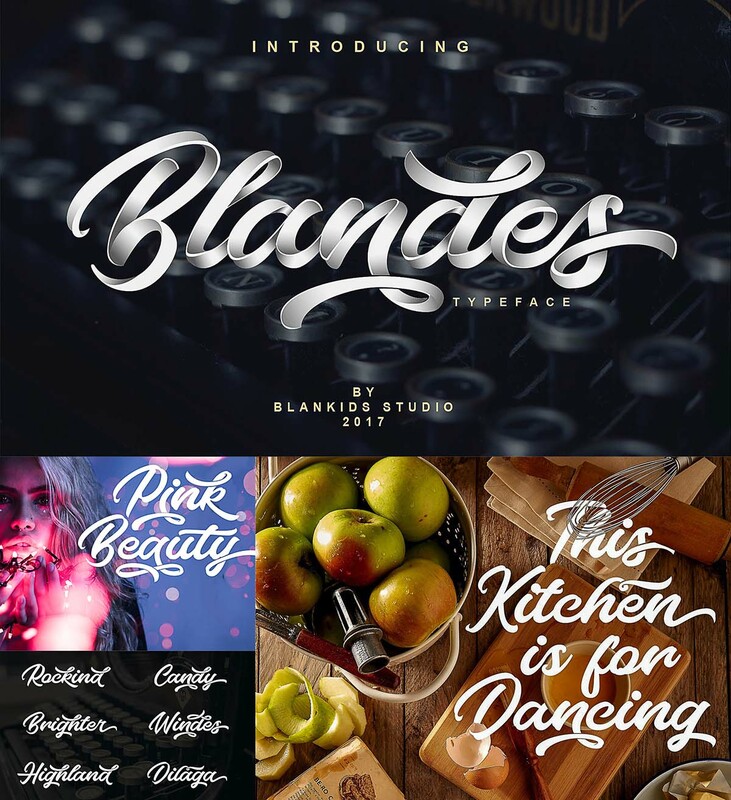 Tags: branding, cursive font, handlettered, headline, hipster font, slender, tattoo font, typo, typography.